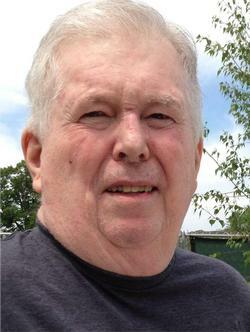 William R. Glendon, 69, of Evans, GA, formerly of Moline, IL, died Tuesday, April 29, 2014, at his home in Georgia. Visitation will be Sunday, May 4th, from 2:00 p.m. until 4:00 p.m., at Wendt Funeral Home in Moline. Services will be Monday, May 6th, at 10:30 a.m., at First Lutheran Church, 1230 - 5th Avenue, Moline. Burial will be at Rose Lawn Memorial Estate Cemetery in Moline. In lieu of flowers, memorials may be sent to First Lutheran Church. William Robert Glendon was born in Rockford, IL, on July 30, 1944, to William and Catherine (Gustafson) Glendon. Bill graduated in 1966 from St. Ambrose University in Davenport, IA, and went on to earn his Juris Doctor in 1972 from John Marshall Law School in Chicago, IL. Prior to entering Law School, he served as a U.S. Army Counter Intelligence Agent, which included world-wide travel. He was in the Vietnam War theatre from February 1967 until May 1969. During his career as an attorney, he maintained a successful, full-time, general practice of law. Bill was a Business Law Instructor at Black Hawk College in Moline, and was attorney for the Illinois Pollution Control Board, writing legal opinions on violations of the Illinois Pollution Control Act. From 1973 until 1977, Bill was the Corporation Counsel for the city of Moline, advising the Mayor, City Administrator, and Council Members on the basic governing structure of the city. He was a licensed Real Estate Agent and Broker in Illinois and Florida. Bill's love of golf lead him to be Co-Owner of Golfmohr Golf Course in Hampton, IL, and Hawthorn Ridge Golf Club in Aledo, IL. Bill was a man of deep Christian faith who dearly loved family, his hometown, and golf. Survivors include, his father: William D. Glendon of Silvis, IL; a son: Matthew Glendon of Augusta, GA; a daughter: Rachel Melcher of Jupiter, FL; and a sister: Sara Wildermuth of Moline. He was preceded in death by his mother, and a brother, Bruce Glendon. Sandy lived up on 7th Street next to Woodie. I was in Wm. Carr and then Hamilton wth him. He was a pitcher and I was a catcher on our Hamilton Dad's Club team and Big Woodie and "Rubber Arm" Ray Kinkead were the coaches. Sandy had a good fast ball. He used to practice his pitching with me in the alley behind the houses. Sandy was always a good student and he had great penmanship that I always admired. Bill "Sandy" Glendon was my neighbor on 7th. street from the time we were both 3 years old. I watched the Glendon family home being built. Sandy and I walked to school every school day from grade school through junior high. He had a very distinguished legal career and served our country faithfully during the Vietnam War. It is an honor to have known him. Sincerest sympathies to Bill, Mathew, Rachel and Sara. Click here to see William R's last Profile entry.